The recent decision by the U.S. District Court for the Northern District of Oklahoma in Busby v. City of Tulsa, No. 11-447 (N.D. Okla. Jan. 25, 2018) illustrates Title VII’s expansive protection against retaliation. In that case, Walter Busby (Busby) brought a retaliation claim his employer, the City of Tulsa, pursuant to Title VII. Busby claimed that the City of Tulsa retaliated against him for complaining about perceived discrimination. 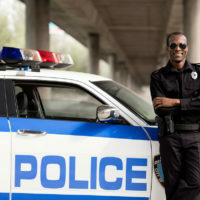 Busby, who is African-American, has been employed by the Tulsa Police Department (TPD) since 1981. Busby progressed through several positions during his 35 years with the TPD. Busby was promoted to sergeant in 1990 and to lieutenant in 1996. Later, the lieutenant title was changed to captain, with a change in rank and duties. Since 1996, Busby requested to work daytime assignments, and he was assigned to the second shift, which is also known as the day shift. In January 2010, Busby was ordered by his commanding officer, a Major named Evans (Evans) to march in the Martin Luther King, Jr. Day Parade with other TPD officers who would be marching. Busby told Evans that he did not want to participate. Ultimately, Evans gave Busby a direct order: “If you are working that day, you will participate and march with the department. Busby claimed that he was ordered to participate with the TPD procession because of his race. Busby had never marched in the parade as a member of the TPD. Busby did not want to march with the TPD in the parade because he did not think that the TPD had made sufficient progress in areas regarding race relations. On January 14, 2010, Busby requested permission to take leave during the time of the parade. Evans denied Busby’s request. After being notified of Evans’ denial, Busby wrote to Evans stating that he was “respectfully bringing to Evans’ attention that the order to participate in the parade is illegal because Evans’ stated reason for [Busby’s] participation was based on [his] race and as such is illegal.” Under protest, Busby complied with Evans’ order and participated in the parade. The next day, Busby again complained to Evans that he had been treated differently that white captains and that he believed Evans’ order was illegally based on his race. The evidence in the case supported Busby’s assertion that he was the only captain who was ordered to participate in the parade. One white captain, who was under Evans’ command, was not ordered to march in the parade and was granted holiday leave, although such leave was denied to Busby when he asked for it. Despite his participation, Busby claimed that Evans retaliated against him for his complaints about being ordered to participate in the parade because of his race. Evans’ alleged retaliatory acts included giving Busby a negative performance evaluation and transferring Busby from the day shift to the night shift. The performance evaluation was the worst that Busby had received in over 30 years on the TPD. The performance evaluation stated that if Busby did not demonstrate “marked improvements,” Evans “would not recommend a division command for him.” Busby’s transfer to the night shift adversely affected him because he had young children at home, and the night shift assignment resulted in him spending little time with his family and forcing him to use accrued vacation time on order to maintain some semblance of a family life. Following a bench trial, the trial court concluded that the Evans violated Title VII by retaliating against Busby for having complained that Evans’ order was unlawful race discrimination. In support of its ruling, the trial court explained that employees are protected from retaliation under Title VII even when they are “wrong about whether the employer actually violated Title VII.” Instead, the trial court pointed out, “it is enough that the [employee] had a good faith belief that the conduct opposed was unlawful under Title VII.” Applying this principle to the facts, the trial court found that Busby believed in good faith that Evans’ order was unlawful race discrimination. The trial court also found that there was a causal connection between Busby’s complaints and Evans’ retaliatory actions. The trial court observed that the performance evaluation “was the worst that Busby had ever received,” “followed shortly after his opposition to being directed to march based on his race,” and “Busby’s opposition was cited more than once in the evaluation.” Similarly, the trial court pointed out that the decision to transfer Busby to the night shift “was made soon after the parade.” At the time he made the decision, the trial court noted, Evans was “hurt and disappointed” because of Busby’s allegation of race discrimination. Based in Ocala, Florida and representing employees throughout Central Florida, we have almost twenty years of experience fighting for employees who have been the victim of retaliation. If you have been retaliated against for complaining about workplace discrimination or have questions about your protection from retaliation, please contact our office for a free consultation with our Alachua County, Florida retaliation attorneys. Our employee rights law firm takes retaliation cases on a contingency fee basis. This means that there are no attorney’s fees incurred unless there is a recovery and our attorney’s fees come solely from the monetary award that you recover.